As an artist, I believe in continuous learning. Art books are a great way to learn new techniques and to enhance your skills. Whether you’re a beginner looking to get started or just want practice, these books are a great deal! Drawing animals requires fast thinking and quick execution. Unlike artists of landscapes or still-life, the animal illustrator must adhere to this golden rule: observe much and long and draw quick and little. 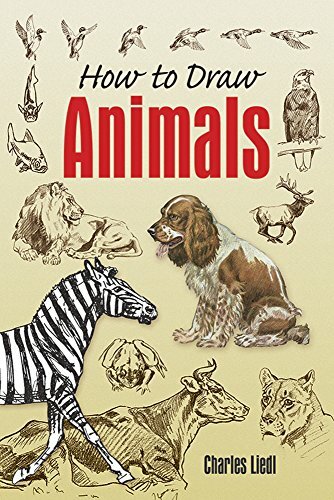 This respected guidebook, written by renowned wildlife illustrator Charles Liedl, shows you how. In How to Draw Animals, artists of every level will learn the techniques for portraying animals accurately and gracefully. During the first half of the twentieth century, E. L. Koller wrote a series of art instruction books for home study, designed to simplify various techniques for beginning artists — and help established artists polish their craft. The books are as relevant — and the information as essential — to artists today as it was then. 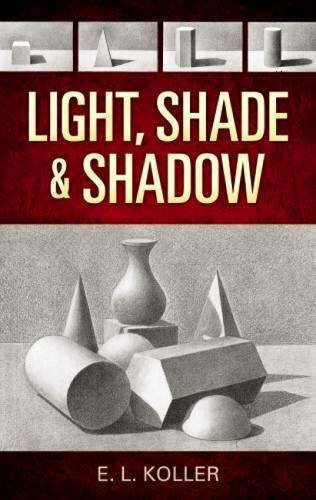 A classic in this series, Light, Shade and Shadow, shows how the study of light is a necessary foundation for creating an appealing work of art. he Art Handbooks provide the best in art tuition in a small, handy format, covering all the major aspects of painting and drawing in various media. There is excellent advice on what materials are needed and on basic techniques, followed by step-by-step demonstrations with clear photographs of each stage and easy to follow instructions. 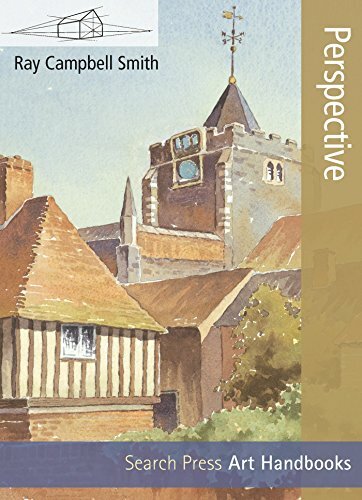 Ray Campbell Smith has written an excellent introduction to perspective that will be invaluable for all artists. Beginning with basic perspective, he covers the eye level line, vanishing points, basic constructions and shadows. We then progress to ellipses, curves and curvilinear objects such as boats, with plenty of advice on how to simplify difficult shapes. The section on reflections will be invaluable to landscape artists. There is then a section on aerial perspective, detailing the use of tone and color to create depths in a painting. The final section on stretching the rules shows how unconventional perspective can produce dramatic compositions. There are exercises along the way to help artists to improve their accuracy and plenty of painted and drawn examples. Beginners to drawing and painting will find this an essential introduction, and more experienced artists will learn many tips and techniques to improve their drawing and paintings skills. The age-old art of drawing is one of the most important foundations of all the visual arts–and it s also a relaxing and enjoyable pastime! 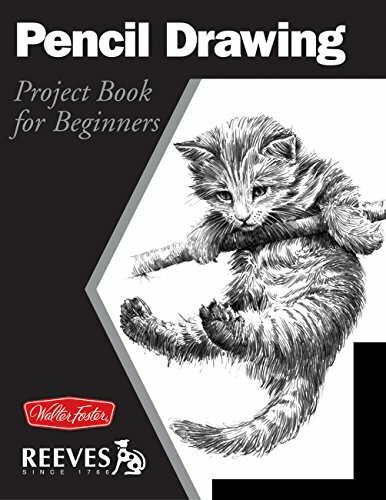 This book offers a simple, step-by-step approach to learning the fundamentals of sketching–from starting with basic shapes to rendering accurate still lifes, landscapes, animals, and portraits. You will learn techniques used to render various textures, including glass, metal, foliage, and fur. Even if your only experience with a pencil is writing with one, you re still perfectly capable of executing these easy-to-follow basics. Learn how to turn what you see into masterful, expressive art. 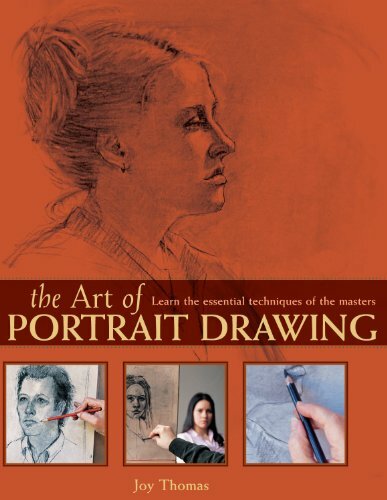 With the practical instruction and advice in these pages, you can develop the skills necessary to draw fine portraits in the realist tradition. Inside Drawing 1, you will find an array of beautiful drawings that will inspire you to explore the medium further. 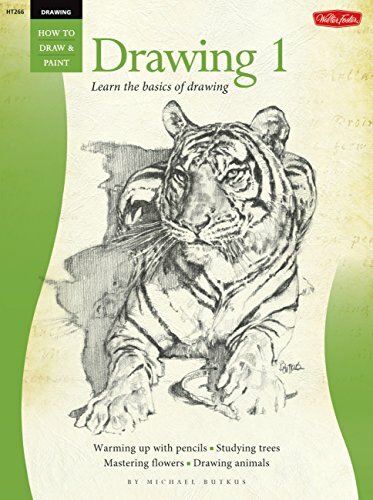 The author covers a wide range of the most popular subjects as he introduces a number of basic art concepts and drawing techniques. You’ll learn about creating basic face and figure proportions, developing realistic textures, adding depth and distance to landscapes, and more. You also will learn about the tools and materials you will need to get started drawing your own favorite subjects. 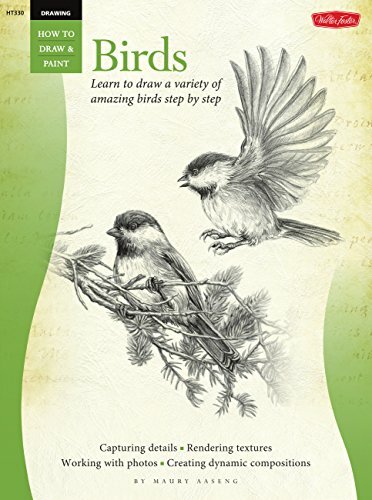 Birds are an intriguing subject for artists of all skill levels, and aspiring illustrators and bird enthusiasts alike will find creative inspiration and valuable drawing instruction in Drawing: Birds. This comprehensive book opens by introducing pencil artists to the essential drawing tools, including graphite pencils, erasers, paper, and other materials. 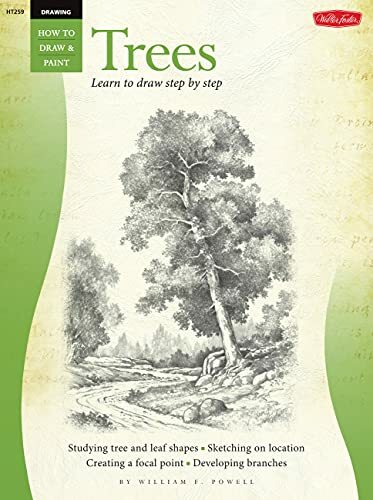 In this book, William F. Powell invites you into his artistic world as he shows you how to render a variety of beautiful trees in pencil. The author explains a number of basic drawing techniques before exploring basic tree shapes and leaf types. As you learn how to draw branches, bark, and ground foliage, step by step, you’ll also discover important tips about shading, creating textures, setting up compositions, and applying perspective helping you develop your own tree drawings to their fullest potential. With Kaaren Poole as teacher, learning to draw colorful birds becomes an enjoyable experience. 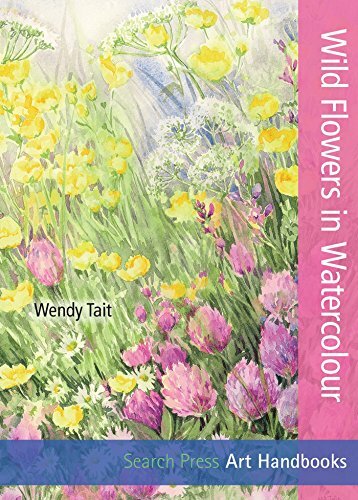 She reveals the secrets of creating her beautiful, realistic, and richly detailed pictures, showing how she builds them step-by-step, in layers of color. 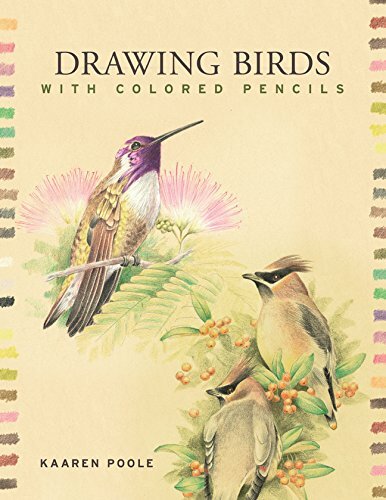 Poole explains her chosen medium (colored pencils) and how to use it, gives tips on bird anatomy, provides color theory basics, and then illustrates her technique with 27 popular avian subjects, including the robin, goldfinch, chickadee, and quail. When you master Poole’s easily-learned method, it’s simple to recreate her lovely projects exactly or to use her ideas to enhance your own work. To finish the at-home course in style: a quick lesson on pairing colored pencils with watercolor, iridescent inks, and graphite.